This uniform is made from comfortable 6.5 oz. 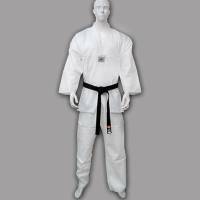 55% cotton and 45% polyester material. 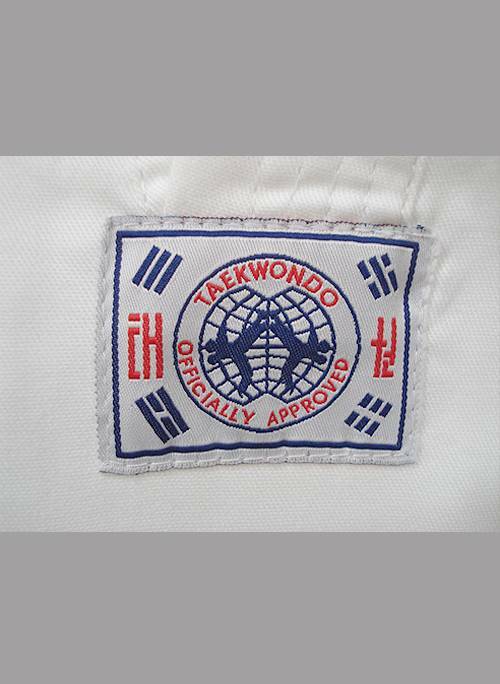 It is a traditional TKD pullover design with a taekwondo patch at the base of the v-neck. The pants come with an elasticated waist band for a comfortable fit. 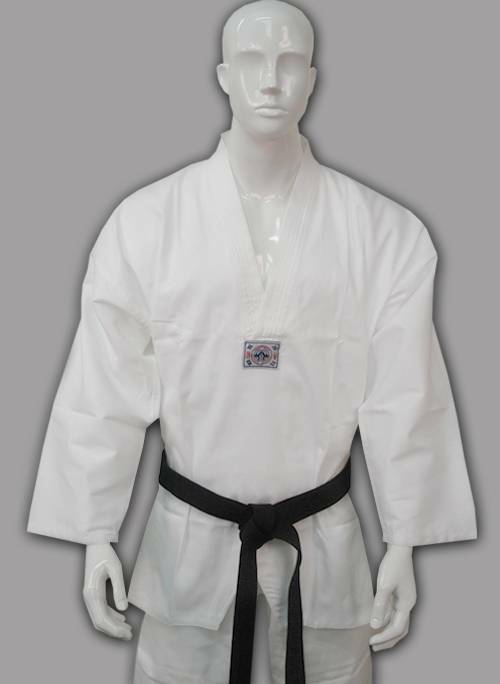 The uniform includes a jacket, pants, and a white belt. 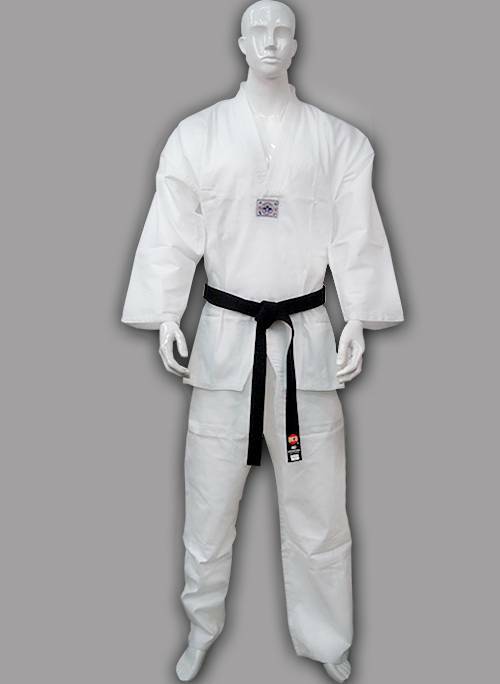 An ideal uniform for beginners and intermediate taekwondo practitioners.